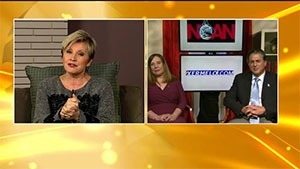 2016 Hero of Hope Award winner and cancer survivor Maryann Wahmann has some excellent tips for patients with cancer, including being your own advocate and bringing someone with you to appointments. Maryann Wahmann is the 2016 Hero of Hope Patient Award winner. Over 7 years, she had 7 colonoscopies, 7 endoscopies, and several wrong diagnoses before being diagnosed with carcinoid cancer, a type of neuroendocrine tumor (NET). 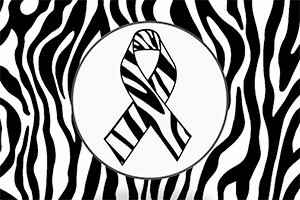 Maryann Wahmann of the Carcinoid Cancer Awareness Network (CCAN) has been chosen as winner of the 2010 Warner Advocacy Award, established last year by Novartis Oncology to commemorate the life and work of the late Monica Warner of the Carcinoid Cancer Foundation. The award is given annually to the individual who best embodies the spirit, passion, and dedication of Monica Warner. Most people think Apple founder Steve Jobs died of pancreatic cancer. Maryann Wahmann explains what it was like being misdiagnosed for many years and her reasoning for forming the Neuroendocrine Cancer Awareness Network. Imagine living for nearly 20 years with a rare cancer – having been misdiagnosed for several years despite numerous trips to the ER for severe intestinal issues. Maryann Wahmann is an inspiring woman who has lived with neuroendocrine tumors (NETs), a rare cancer most commonly found in the lung or gastrointestinal system. Maryann joins us this morning, along with her doctor, Dr. Hal Gerstein, to discuss the signs and symptoms of this rare disease and the challenges of living with carcinoid syndrome. 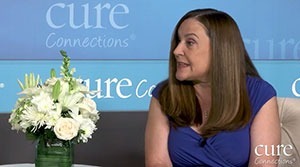 Patients with cancer share experiences from their diagnosis and treatment journey. The University of Kentucky Markey Cancer Center, in conjunction with the Neuroendocrine Cancer Awareness Network (NCAN), will host the 2017 Neuroendocrine Cancer Patient Conference on Saturday, April 22. Copyright © 2019 Neuroendocrine Cancer Awareness Network. All Rights Reserved.